Robert McWhir directs a polished tribute to Vincente Minnelli’s classic movie with his Landor company staging the UK premiere of the 1944 movie’s more recent Broadway spin-off. Meet Me In St Louis starred Judy Garland (who was to meet Minnelli on set, marry him in ’45 and give birth to Liza one year later) and was to prove MGM’s biggest hit to date, eclipsed only by Gone With The Wind. Its tales of youthful love and petty family squabbles may be as whimsical as a World Fair candy-floss, but the film’s lavish budget and frivolous spectacle clearly proved a welcome distraction to a nation embroiled in WWII. 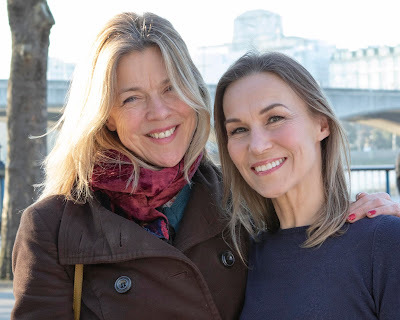 Based around the loves and passions of the Smith family daughters at the turn of the century, Emily Jeffreys plays Rose, the eldest of the girls, chasing a beau from New York, with angst, romance and sisterly giggling in a performance that is perfectly weighted for the era. Driving the narrative though is second daughter Esther, (Garland’s role in the movie), literally in love with The Boy Next Door. The movie was conceived as a Garland showcase and hence her character was also given the show’s two signature tunes, The Trolley Song and Have Yourself A Merry Little Christmas. Georgia Permutt’s Esther is a charming professional debut with a presence that commands our focus, gels the company and sounds delightful. The lyrics of Have Yourself A Merry Little Christmas carry significant history written whilst so many US troops were away fighting. The song's message resonates with Vera Lynn’s We’ll Meet Again and with conflict even today in Afghanistan Permutt’s elegant rendition, amidst falling snowflakes, is poignant. Also notable in the cast are Carolyn Allen’s delightful Irish maid Katie and Rebecca Barry’s petulant infant sister Tootie, whilst Bryan Kennedy’s Alonso Smith, the head of the family, affectionately demonstrates that the challenges of fatherhood are timeless. Robbie O Reilly choreographs with verve. The cakewalk number Under The Bamboo Tree proves a well drilled hoot, whilst The Trolley Song, Christmas Waltz and The Banjo are ingeniously spectacular routines given the Landor’s intimacy. Michael Webborn's direction of the four piece band maintains his usual high standard of musical accompaniment. Credit too to Francisco Rodriguez-Weil whose sliding screens and immaculately painted backdrop make for clever scene transitions. 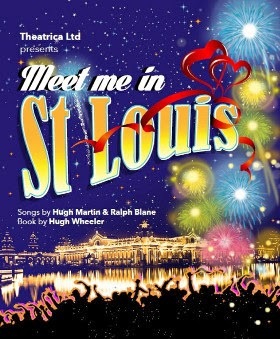 Meet Me In St Louis will appeal to those who want to relish a contemporary tribute to a Hollywood classic. It’s a beautifully crafted production and whilst the trolleys may no longer run to Clapham North, audiences should. It’s a shining star of a show.